Aashish Acharya, co-founder of Threadpaints, walked me through the journey of three engineers who in four years, aren’t just inspiring fashion trends, but also making ‘reliable online shopping experience’ for apparels a reality in Nepal. Threadpaints, a venture of WhiteSpace Pvt. Ltd., is a leading online store for apparels which promises quality products that are delivered all over Nepal. 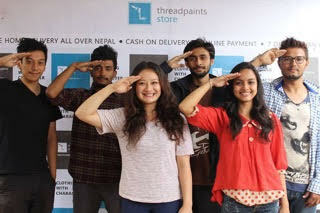 Aashish Acharya, Aayush Shrestha and Sabin Bhandari wanted to write codes to simplify lives and create value as they co-founded Threadpaints on December 30, 2012. 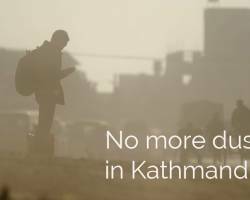 But now they are on their way to create one stop solution for apparels in Nepal. 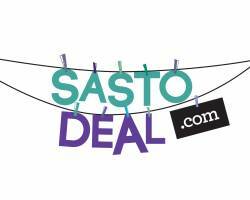 Aashish always fancied the idea of selling clothes to make money and he found an interesting, new way to do it. It was different to what everyone else were doing in the apparel business. 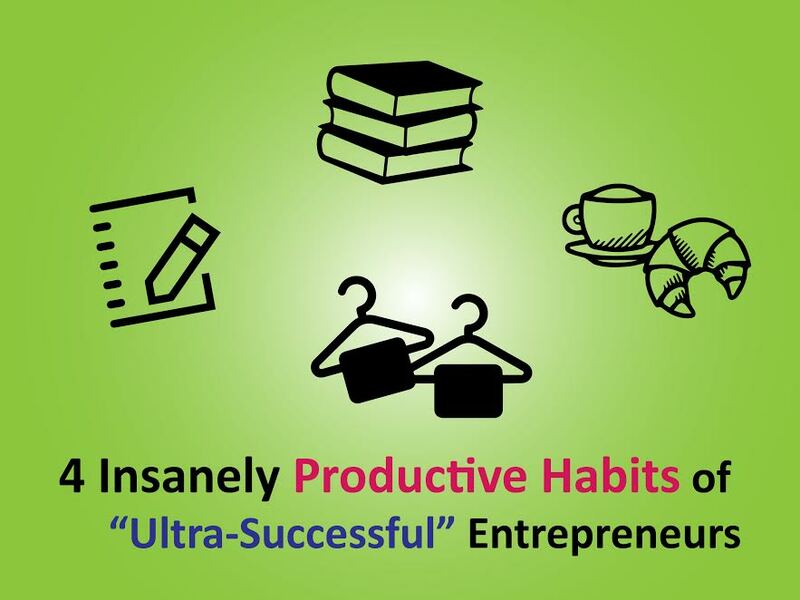 Being engineers and jumping into business of apparels, they had a lot to learn and the resource to do so was scarce. People who were already in the fashion and apparel business wouldn’t share their experiences. So, initially they gathered deals by persuading classmates and school clubs to make t-shirts. They ordered all the t-shirts from the same client. They made a transaction of Rs. 50,000 to Rs.70,000 a month and gained the client’s trust. Only then, the client started sharing his experiences, stories of being in fashion and apparel business and agreed to work on credit with them. I lied to my parents about canteen fees being doubled, Sabin bought shoes for Rs.500 for which he got Rs.2000 from parents, and Ayush went on a date and managed to ask her some money. Slowly, Threadpaints also got a momentum and they registered the company. Aashish vividly remembers being proud signing MoA and AoA documents, which according to him, were the biggest official documents he signed in his life. Three years ago, they came up with an idea that they thought would give them a ‘big break’. Deep Purple was coming to Nepal for a concert and the event had expected to pull in a crowd of 17,000 people. 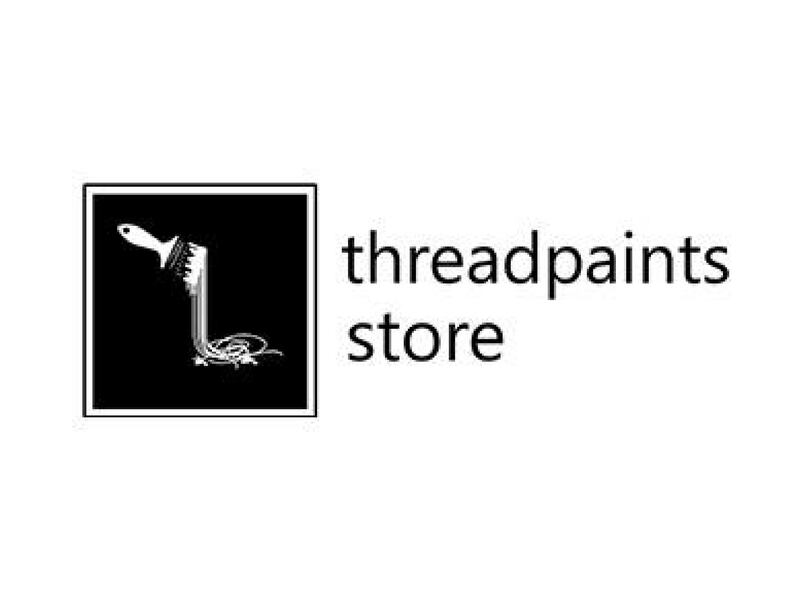 Threadpaints looked into this as an opportunity they could use to show their presence in the market. They weren’t in a state to partner with the organisers. So they bought 500 tickets and paired them with their t-shirts to create their own offer. They were selling only 10 to 15 t-shirts a week at the time, and to sell 500 t-shirts with the tickets until the concert was an ambitious target. However, people loved the concept and the pair almost sold out. But their plans worked briefly until it started to backfire. “It would not be a wrong statement to say we turned extra greedy and very immature,” says Aashish. Just 10 days before the concert and during the beginning of their final year exams, they heard the organisers were nowhere to be found and the concert was rumoured to be cancelled. Soon, the customers wanted refund for the tickets. But, the amount they generated from their offer was used up in paying for those 500 t-shirts. They were broke. 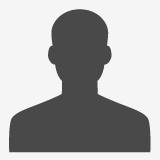 “I was preparing for my board exams and taking those phone calls,” says Aashish. They explained the scenario to their customers, borrowed money to refund and got into a debt of Rs.80,000. We also failed the board exams. We didn’t have choice to step down from the business. The only option apart from going to parents and asking for money was working our ways through the business and eventually paying everyone. “We also failed the board exams. We didn’t have choice to step down from the business. The only option apart from going to parents and asking for money was working our ways through the business and eventually paying everyone.” And so they did. 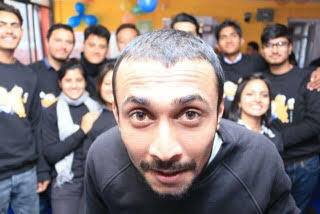 After the major setback brought by the ambitious Deep purple project, Aashish Acharya ended up in Mr. Manoj Ghimire’s office, their lecturer at Institute of Engineering, to share the same story about their loss. Then for the next 15 minutes, Mr. Manoj asked him about Threadpaints and what they had envisioned. By the end of the conversation, he voluntarily offered a nine month interest-free loan of Rs.80,000 to Threadpaints, the company which had just fallen into its trough. In return, if the company did well, he would get a stock of the company worth the same amount. 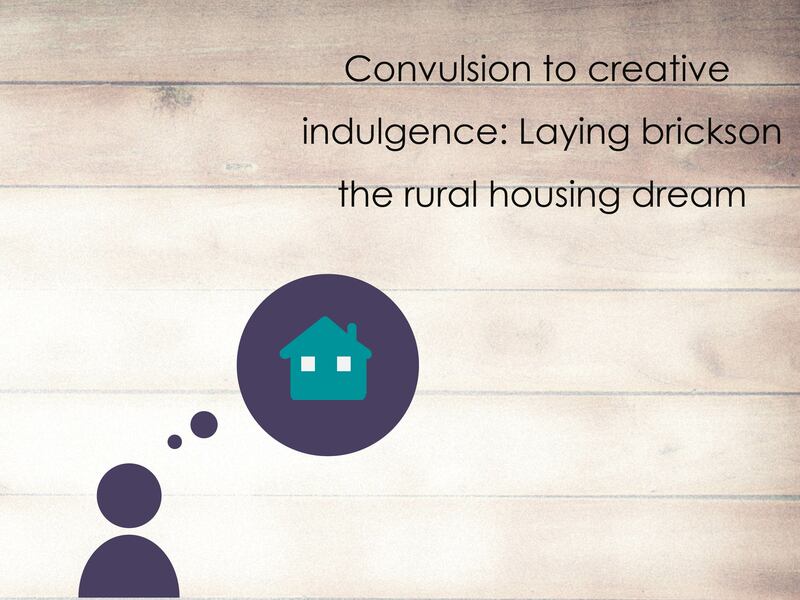 “When I returned back with the cheque, our commitment and caffeine intakes doubled, took turns to sleep in that one bed we had. That cheque motivated us so much that within next few months we came up with several new products, built the website and we were already talking about its launch. Someone trusted us with our very simple idea,” he remembers Mr. Manoj’s support with immense gratitude. Today, Mr. Manoj is on the board and also the Chairman of Whitespace. It was only in January 2015, the founders of Threadpaints realized that other people will be interested to invest in their company and how. Before that (until second half of 2015), all the investment in the company was organic. Soon after their graduation, they invested Rs.50,000 to Rs.1,00,000 each and their key to financial management was cutting costs and investing profits back. Working their way up without any external investors might have taken them longer to climb up the ladder, however, Aashish claims that the independence helped them build a solid foundation of the company and its culture. Money doesn’t really stop an entrepreneur from becoming one. “When we had Rs. 10,000, we were working on a project worth Rs.50,000. It’s all about how you manage”, he says. Working their way up without any external investors might have taken them longer to climb up the ladder, however, Aashish claims that the independence helped them build a solid foundation of the company and its culture. They got their first round of investment only in April 2015 and are soon closing the second round. By the end of 2016, they will have raised an estimated total capital investment of Rs.50 lakhs. In 2017, they are planning to look out for some venture capital. “We look for money only when we need. Once someone has money in your company, they keep expectations of reports and profits. We aren’t ready for that ‘corporate style’ control. At the end, this is about strong relationship built on uncertain things,” says Aashish. 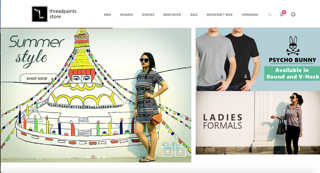 These two engineers, who are engineering fashion in Nepal by creating reliable online shopping experience of apparels, are confident about becoming number one shopping destination for apparels in Nepal in next two years. Beautifully written - such an amazing story! Expanding fashion engineering in Nepal also . It shows combinations of hard work and soft work pays a lot. There are nice startups in nepal and also in the field of fashion engineering.